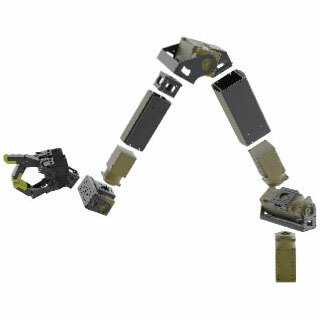 The DYNAMIXEL PRO line of Robot Actuators is ROBOTIS's new solution for full-scale robots. These new actuators have incredibly high power and precision, making them ideal for for everything from advanced robotics to industry applications. Using ROBOTIS's frame system for the DYNAMIXEL PRO, you'll be able to rapidly create a variety of different systems and robots. These new servos have position, speed, AND torque based commands. 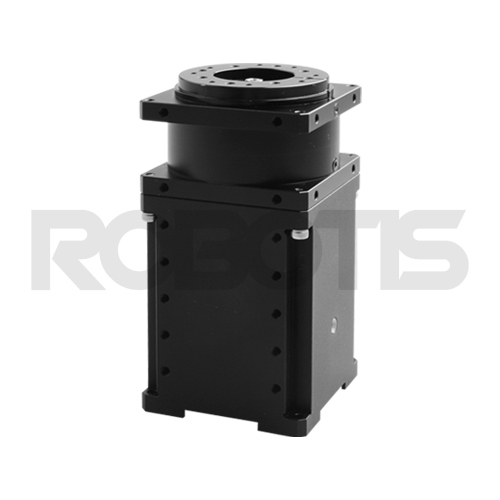 The L54-50-S500-R uses a RS-485 communication protocol, a 500:1 gear ratio, a straight type gear reduction system, and has 50W output. Variant options will be available in the future. Like other DYNAMIXEL Robot Actuators, DYNAMIXEL PRO Robot Actuators are network driven, which means they can each be addressed with a unique ID. This ID can be set dynamically, making it easy for users to configure their actuators for their specific robot. 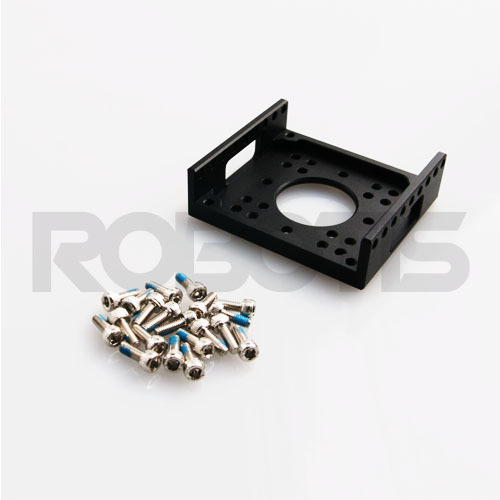 The communication ports on the DYNAMIXEL PROs can be daisy-chained from one servo to the next, and hubs can be used to chain servos outward from a central location. In addition to easy configuration and wiring, the networked nature of the DYNAMIXEL PROs makes it easy to send commands to the actuators, whether you want to set a positional command, a speed goal, compliance slopes, or a variety of other parameters. Users can also receive feedback from the unit, including present position, temperature, voltage, current goal position/speed/torque values and more. 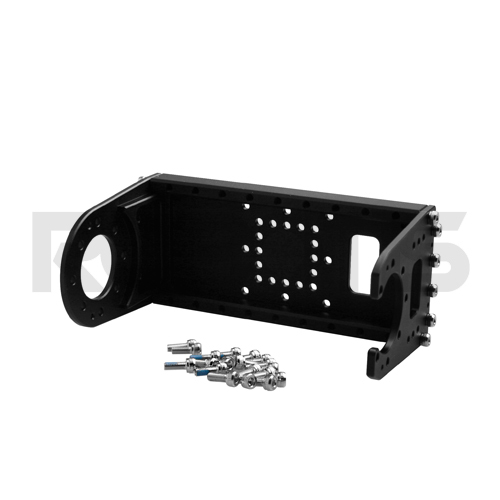 Users can even set the intensity values on the built in RGB LEDs to create an array of different colors for debugging purposes. Each DYNAMIXEL PRO has a built in microcontroller that handles all of the communication and calculations needed to make the servo work as efficiently as possible. Because the microcontroller handles all of these calculations, your main controller is free to handle other processes, and only needs to send the servos positional, speed, or torque commands. 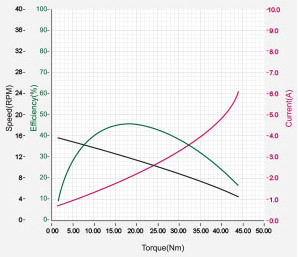 The microcontroller can also monitor the motor and shut it down if certain parameters are exceeded (too high temperature, too high/low voltage, too much torque, etc). 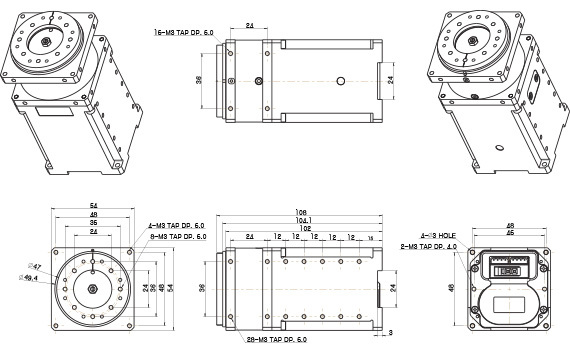 The modular design of the DYNAMIXEL PRO Robot Actuators makes them very easy to work with. 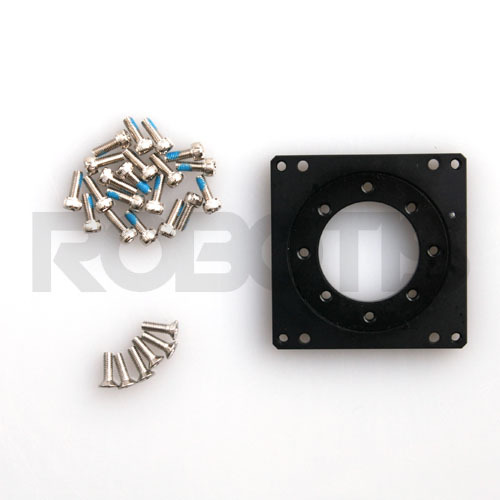 These actuators are great for integrating into other robot projects, or for creating new robots from the ground up. 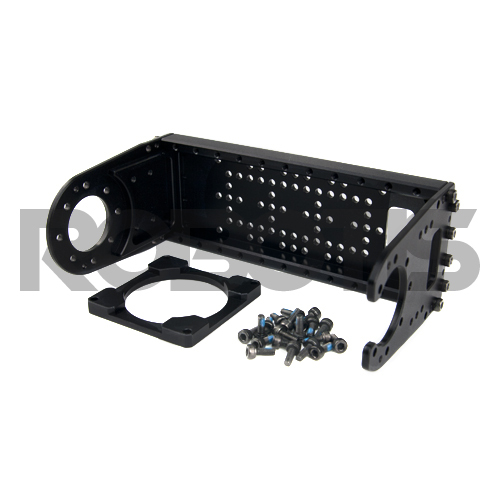 A variety of frame pieces makes it even easier to create joints and connect servos together. The USB2DYNAMIXEL will allow you to control DYNAMIXEL PROs via the DYNAMIXEL SDK 2.0 for DYNAMIXEL PRO(Windows/Linux). You can also use the DYNAMIXEL Wizard to test and configure your DYNAMIXEL PRO servos. DYNAMIXEL PRO robot Actuators are the servos behind the highly successful THOR-MANG robot, a competitor in the DARPA Robotics Challenge. This humanoid robot leverages the power and precision of the DYNAMIXEL PRO Robot Actuators to produce some amazing results! 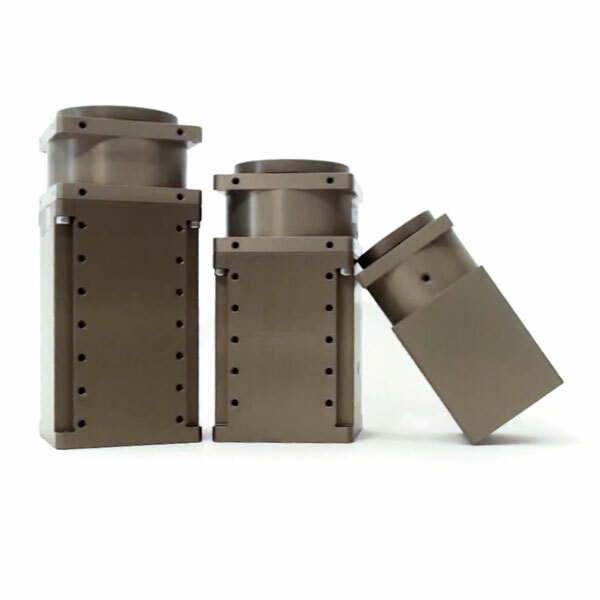 All DYNAMIXEL PRO Robot Actuators have a 8-10 week lead time.